Eyes on the ball through finish. 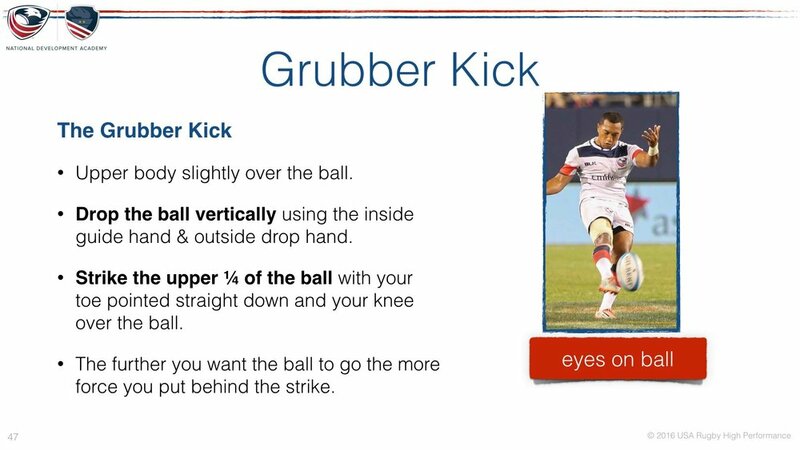 If kicking out of hand, both hands on the ball--inside hand is the guide & the outside hand is the drop hand--shoulders over ball. Kicking foot is down and locked out. 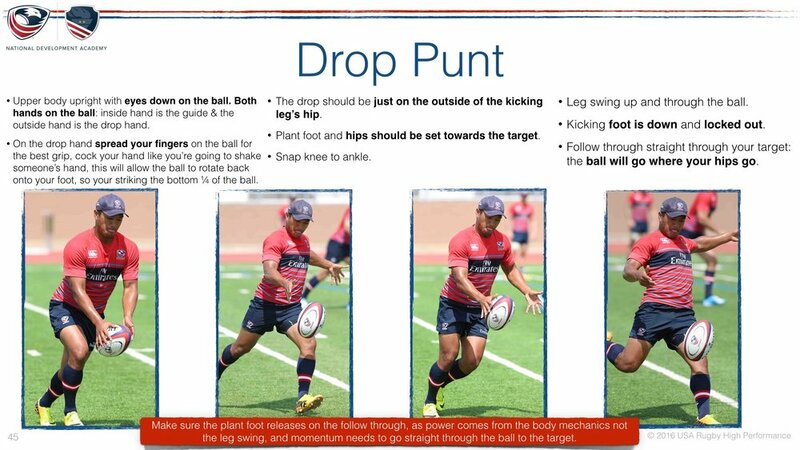 Make sure the plant foot releases on the follow through, as power comes from the body mechanics not the leg swing, and momentum needs to go straight through the ball to the target. 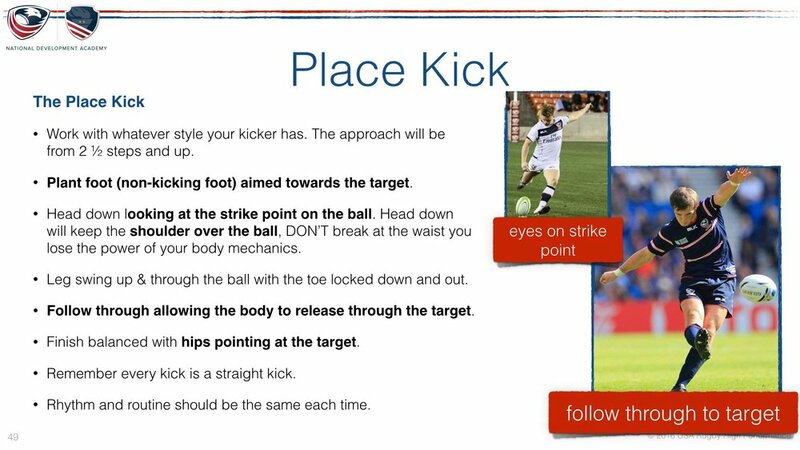 Power comes from leg coming straight through the ball to finish and NOT the leg coming across the body. Follow through allowing the body to release through the target. Finish balanced with hips pointing at the target. Rhythm and routine should be the same each time.